Puzzle games have challenged human beings for centuries. For modern puzzle gamers, few resources are quite as ready, willing, and able to challenge to the problem-solving side of our brain as our iOS devices. With literally thousands of puzzle games to choose from on the App Store, it's sometimes hard to not feel paralyzed by choice. 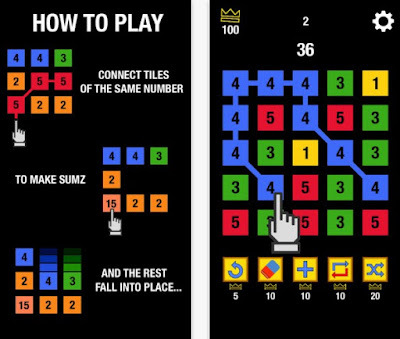 Luckily for you we searched through App Store and we discovered one amazing puzzle game for your iPhone – sumZ+. Let’s talk about what this game. What is sumZ+ all about? This interesting game is a puzzle game that is developed for all IOS users that love numbers and like playing puzzle games. The game is combination of both, offering the users addictive and challenging gameplay, a great exercise for the brain. The users are offered simple and easy for playing gameplay that in the same time is quite challenging and will entertain them constantly. With fun design and sounds, the game offers a great puzzle experience. The users only need to connect like numbers for creating their sums. 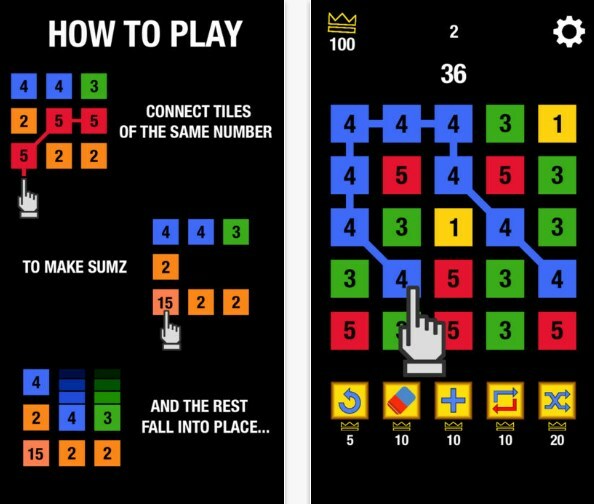 sumZ+ is a simply created game that offers quite challenging and satisfying puzzle gameplay for all iPhone users that like playing their puzzle games on-to-go. All the users need to do, is to connect the same numbers in tiles in any direction they want, creating sums of those numbers and winning high scores for that. When every tile is made the other numbers are falling into place, allowing the users to create more tiles. More tiles the users connect, more scores. If the user can connect higher numbers, he will last longer in this puzzle game. The game is giving the users only limited moves for connecting the numbers, so, when the moves ran out, the game will be over. But, the game can be started again easy. Download this game on App Store for free.